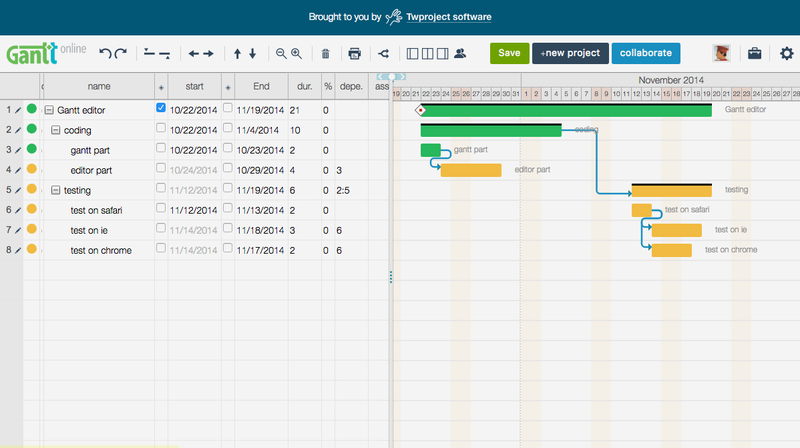 Twproject Gantt is a free online Gantt chart editor to easily create & update your projects. Create complex structure, add dependencies and identify critical path. Update progress, move dates with drag and drop functionality. Twproject Gantt is easy-to-use and completely free. Share your chart with your team members, embed it in your webpage or make it visible at a public url, this is easy with Twproject Gantt Chart Editor, and free. Open Source - MIT. This component is released under MIT license - only the attribution is required.